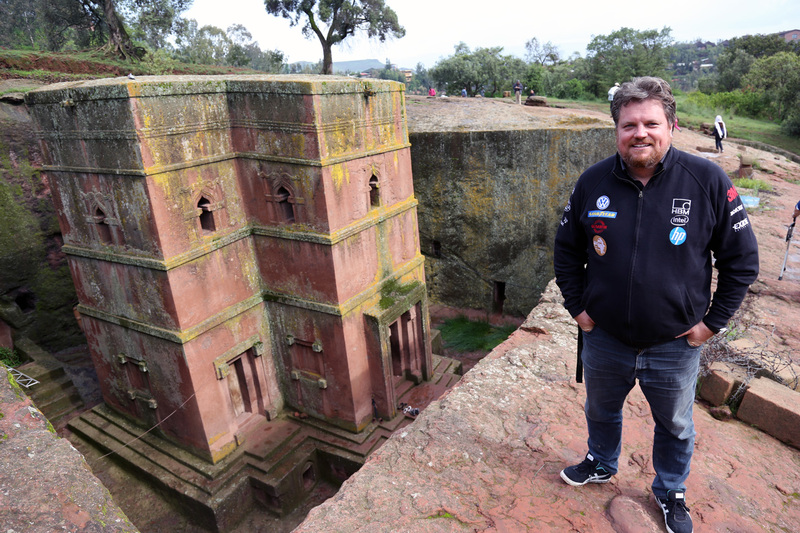 Marius has safely arrived in Addis. It was a pleasure to see him at the airport, knowing that a great adventure awaits us. We've also got a new sticker on the Touareg: Marius brought a present from our friends from the Touareg Club Slovakia. 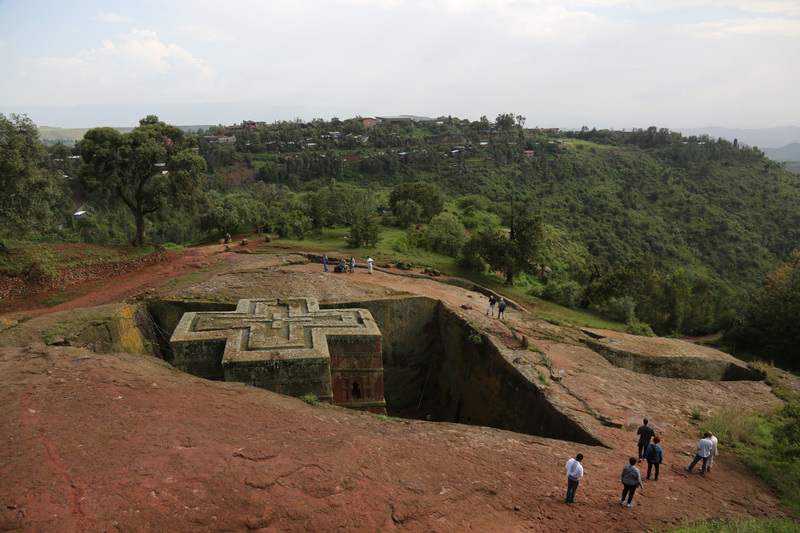 We then headed north from Addis and made our way to Lalibela, where we visited the rock-hewn churches. 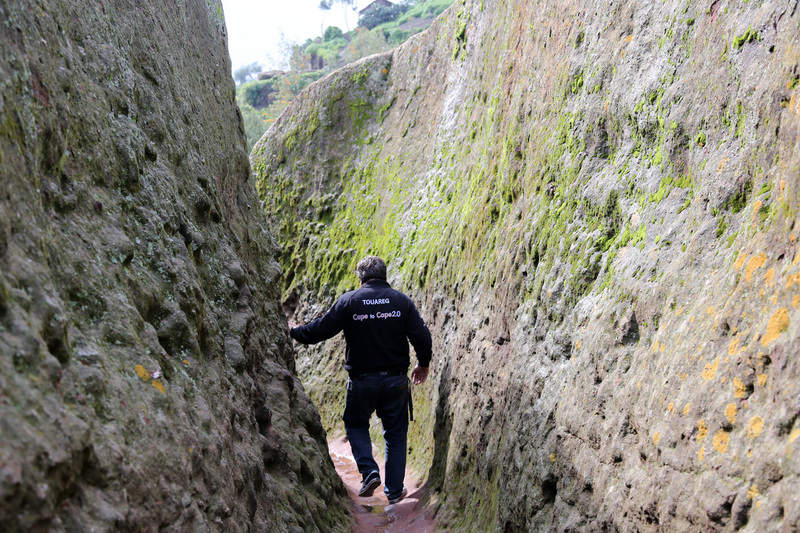 It is a UNESCO world heritage site and an imposing sight. 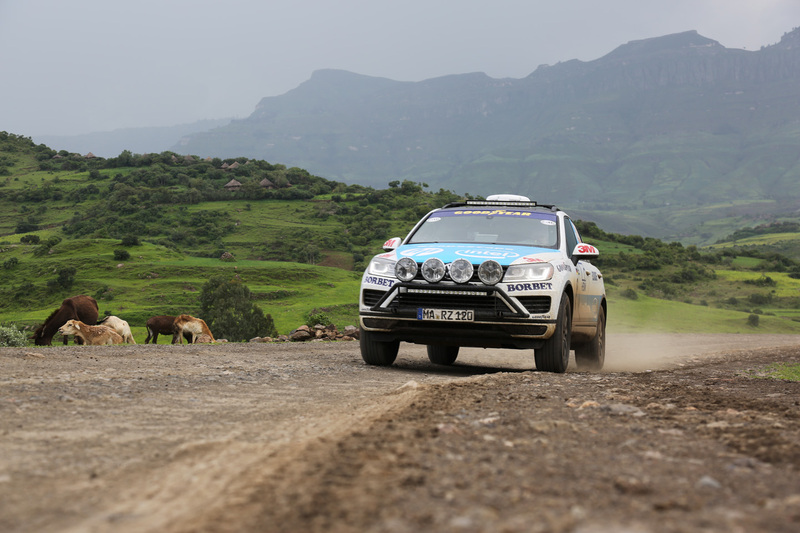 The last stretch was difficult for the Touareg as we had to drive off-road on a gravel road. Still, it was worth it. The churches were not too crowded with tourists and it was a great experience. 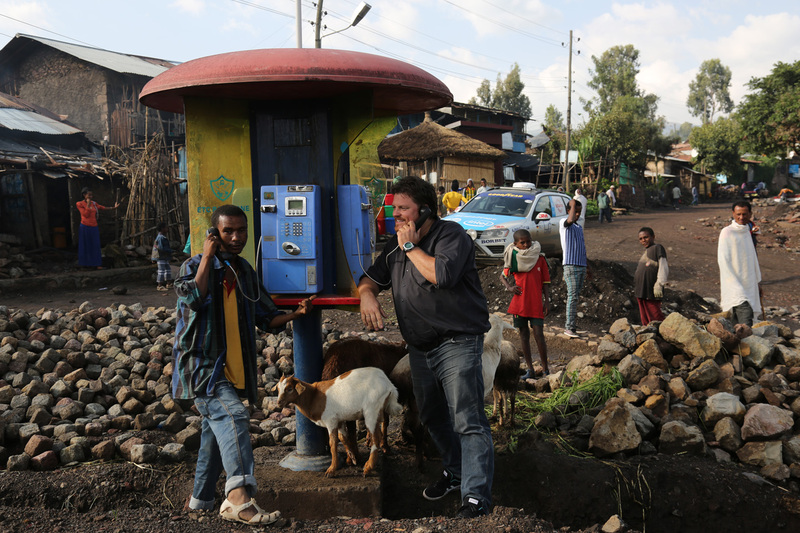 In Lalibela, Rainer exchanged latest news the old way and called from a traditional phone booth In the evening, Rainer and Marius had a good spaghetti-meal in a hotel, before we got on our way back to Addis Ababa, from where we will start our drive down south.